great post. thanks for continuing to be the best travel resource on sagada. the site is great if i could read it. :-) may i suggest that you change the font color to something I can really see. Is it my eyes or the font color your site used is the problem? cheers! 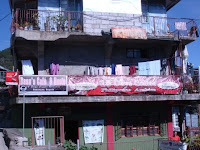 can you help me look for a place that is very comfortable near the bussiness center of sagada? its for 4 adults and 2 children for 2 nyts by the end of november? could you also give me an info on how chilly is it going to be there by that time? thank you! hello there, well, almost all lodgings are concentrated at the town proper of Sagada. it might be still cold in november but not that cold. temperature will range around 16 - 22 degree centigrade. I'M LOOKING FOR 1 ROOM WITH SMALL KITCHEN.CAN YOU GIVE ME A LIST OF ROOMS SO THAT I CAN CHOOSE WHICH WE CAN AFFORD ON THIS COMING JANUARY 1,2010.ITS FOR 2 ADULTS AND 2 CHILDREN FOR 4DAYS STAY,JUST WANT TO KNOW IF HOW MUCH THE EXPENCES FOR THAT. also try St. Joseph Resthouse for their cottages, i think they have their own kitchens too. This blog is so cool. thank you so much for the great help! more power! @Ramon: Hello sir Ramon, thank you po for joining the bonfire. ANY PRIVATE ROOM AT A RATE OF PHP 250-300 PER NIGHT PER ROOM INSTEAD OF PER HEAD? Great site. Would it be realistic to rent a motorbike from Baguio to visit Sagada and Banaue? If not do they have bikes in Sagada to rent for a couple of days? I like traveling when i see something i like I can stop and admire it. makaka tour pa ba kame around sagada pati sa caves, kse recently maulan na.. mid to late june ung punta namen jan.. thanks for any info na pwede nyo ma provide. love the view at Sagada Kanip-aw View Lodge..
My mga lodging po b n per room ang charges? for 2 person. puro per head kc ung nkkita q..
hi, just want to ask updated pba ang number ng billy's haus sa sagada? please help me find an accommodation for 6 people for April 21-24, 2011. A room with its own bathroom. I texted numbers but nobody responded... u may reach me at 09174995229. Any information will be greatly appreciated. God bless. Would like to give feedback on our previous trip there last April 2011. Special thanks to Yuri and John of the Sagada Genuine Guides (SAGGAS) for leading our way to the very exciting and nature-clinged Sagada. We definitely had a great time. And so far this is the best tourist destination in the Phils of course including Boracay. 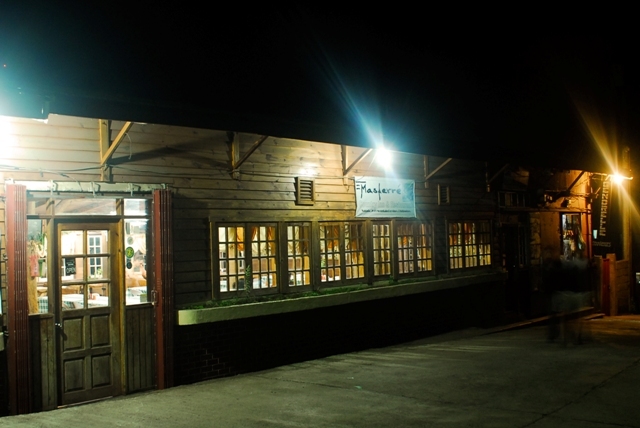 But just to warn you as well not to check in at Sagada Homestay and instead look for other lodges or inns there since there are a lot of choices and more hospitable lodge owners in Sagada. Karen who is the owner of the Sagada homestay, as we may say is not the typical hospitable hostess, she is often times unwelcoming in her approach and words towards the guests. She is not also motherly unlike the other owners of sagada lodges where you will really feel at home on the place that you will stay. She even scolds guest and very strict on their house policies. Not allowed to be noisy at all times. And cannot cook food on the kitchen inside. She will only allow you to cook on the kitchen outside as if you are not a guest instead you are just like a maid. She does not treat her guests with respect. She thinks she is the only well off person in the world, when she does not know that her guests might be richer or better off than her back in manila. She does not consider you as professional during your stay there. She rarely smiles and often than not snobbish. Despite all this observation and unwelcoming feeling our group experience with Karen owner of Sagada Homestay. We would like to extend our thanks to her for giving us a chance to stay in her narra furnished house. The house is ok but it cannot be called a home. Just in case, i do hope she will be able to read this so that she will be humbled and be able to re-assess the level of quality service she provides to her customer , hope fully improve for the other visitors she will have in the future. Hi! Any suggestions or opinions regarding the best place to stay in sagada? Ok po sana kung based on experiences :) salamat madami! Tahimik at maalaga ang mga owners ng Kanip-aw Lodge. 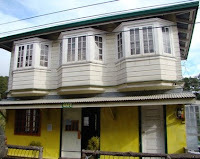 kanipawlodge.blogspot.com Try nyo rin yung SAGADABAGALIMA.COM bagung bago ang building nila, malinis at tahimik. Friendly din ang mga owners. me and my friends are going to sagada this march. i'm thinking to stay in Kanip-aw Pines View Lodge since wala pa akong naba2sang negative comments. pls let me know their contact number if u have. thanks thanks thanks! gud AM po! ask ko lang po, will be going to sagada on march 2 saan po ba maganda mga stay.. Ask ko lang kung pwede na puntahan yung Mt. Ampacao? requesting reccos for a place to stay on apr28-may1. short notice yung trip and most of the inns i contacted are already full. just taking a chance na meron pang vacancy. 3pax, room with private bath/hot shower. Family group of 34 adults and 6 under twelve years old plan to be in Sagada May 13 to 15. 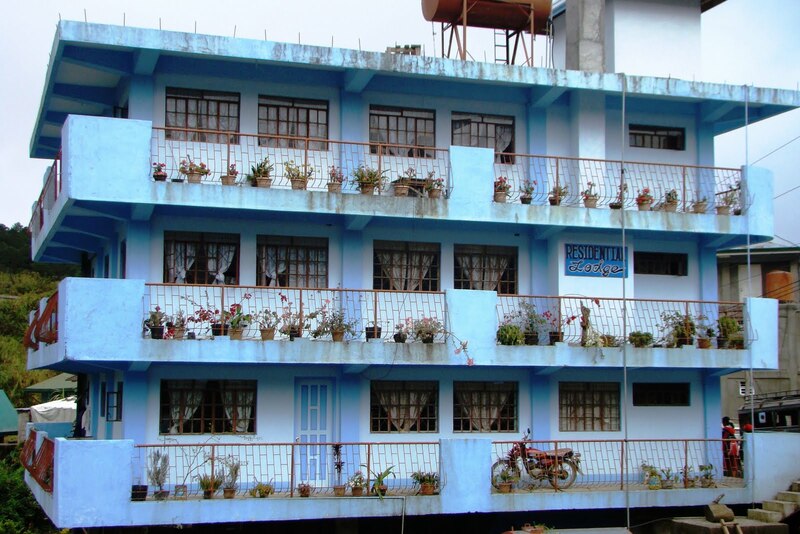 What lodging houses in Sagada have enough rooms for so many people and can accomodate us on those dates? 6. the new items on the menu (We were very lucky to be the first to taste Chef Miko's newest additions to the menu: meat overload, trio formaggi and ham-and-mango (Pinoy alternative to the Hawaiian pizza?) pizza. What was the building being constructed in front of Residential Lodge last year? i am looking for a place like a native house in sagada for transient. i don't like the hotel/inn type, if there's one that we can rent. good for 3-4 people. thank you. MISTY LODGE- your home in Sagada. Great place, great host, value for money, quiet place, homey atmosphere.. highly recommended. WHY NOT TRY THE LUCKY MORELS INN A SIMPLE HOUSE BUT SO QUIET N THE OWNER IS SO FRIENDLY THUMBS UP FOR MS. LILY FOR HER WARM HOSPITALITY! pati foods nila masarap courtesy of the famous lucky's shanghai hauz, subukan nyo friends madali hanapin place nila just call or tex 09107078175 for reservation! i recommend lucky morels inn, homey atmosphere, very quiet talaga n the foods ok lalo yon lumpiang shanghai wow babalikan namin yan, thanks tita lily! i recommend lucky morels inn, simple house as to what others were saying but...OK NA OK! we stayed there for three days two nights, try nyo din mga tourists, napaka homey n so quiet anyway why get an expensive room whereas mamasyal lang kyo palagi ang importante me matulugan, di ba? pati foods ok dito me lucky's shanghai hauz all in one place nga, galing! contact mam lily 09107078175 SMART N 09177868402 GLOBE, ito ang kailangan ng mga turista! galing kami sagada last holy week sa lucky morels inn kami nag stay, ok ang place recommended talaga! puedeng puede, homey atmospheren a simple hauz, homing homi talaga! pati foods super yummy courtesy of lucky's shanghai hauz, same owner, try nyo! yeheeey atlast nakita namin lucky morels inn, lumipat kami sa kanila ng inn kami sa famous inn ohh grabee sa gulo ng footsteps ng turista pati mga naghihilik ang lakas di kami makatulog kaya mas maganda pa yon bahay khit simple lang ok ang atmosphere! try nyo lucky morels inn, superlike! 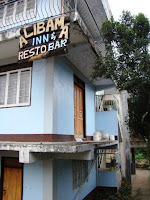 better stay at lucky morels inn capacity is 30 guests agency din ako na ngddala sa sagada, na try namin magstay dito superlike ng turista na dala ko after itinerary, you can drink n sing at their videoke bar n the foods wow great lutong bahay! me mini store pa, o san ka pa...all in one place! jan kami sa lucky morels inn although its a simple hauz but its ok, very homey! were 12 tourists who stayed there actually puno ang lucky morels inn but super cool ang meari na si tita lily, super nice! try nyo din! dinala kami ng laab adventure sa lucky morels inn, thumbs up! ok ang place true ang babango ng bedsheets, punda ng unan n kumot, amoy downy pgbukas ng door, hmmm! kaya sa lucky morels na kayo simleng bahay pero ok magstay super quiet maganda place overlooking din ganda view sa likod ricefield! mura pa wd breakfast n coffee sa halagang 350 lng! para sa food sa lucky's shanghai hauz kayo sa inn, lucky morels inn don na kami nagstay last holy week punong puno pero wow super cool pa rin c mam lily, friendly pa xa pala kuwento di ka mabobored, thank you ms. lily for the warm hospitality, galing yan ang puwesto! thumbs up! galing ng foods sa lucky's shanghai hauz, lahat yummy talaga! hinanap namin ang place recommended ng guides at mga tao jan sasagada, sinasabi masarap dw magluto me ari ng lucky's lalo na lumpiang shanghai pati pinikpikan daw, hayun nga thanks sa mga bloggers natry namin place, two thumbs up! Lucky Shanghai House? nung nagpunta kami for lunch,(we were there last April 6; walang shanghai, tapos yung pinikpikan urggh di namin makain..3 inorder namin, nauna yung isa, kinancel na namin ang dalawa..tunay po ito..
hi ate lily thank you po, sobrang bait nyo po sa min, pag bumalik kmi jan din po kami mag stay sa inyo, very nice n simple place! sobra pa sarap ng food lalong lalo po yon lumpiang shanghai kun mgdedeliver kayo pkitex pô ako this is rowena mae penafranda nasa inyo po number ko, ok naman po yon pinikpikan like po namin masarap kya naka ilan order kami masarap po sabaw at yon itag, cge po goodluck sa business nyo! Never go to Olabhinan. Sama ugali ng may-ari. Sobra taray. Mahal pa bayad. I and other 2 friends are planning to visit Sagada on March. May alam ba kayong accommodation don na nasa around 2k to 2500 ang budget for 2 weeks? Nothing fancy. Just a place to stay. hello can i ask for the contact number of Misty Lodge and cafe to book for a reservation? Thanks! Note: Sagada Lodgings mostly offer a common CR. For a private CR request, Php 400/person additional charge applies subject to Private Room Availability. where can i find the updated contact numbers o the inns? Please stay away from LUCKY MOREL INN!!! Photos posted on their Facebook page were deceiving, the pictures posted has painted walls and double beds with coordinating bed sheet and pillow cases. When I inquired the owner Mary Lily Bagtang told me that the room for 4pax costs 1,400 pesos per night which consists of 350/head (250 for the accommodation and 100 for the breakfast). There's a lot of positive comments and nice photos on Facebook and all of the other Inns were fully booked at that time so I decided to reserve a room for 2 nights last April 18-19. Another lesson learned, madami talaga nagkalat na scammers, to the point na nagke-create ng bogus profiles na mag-iiwan ng mga positive comment sa FB page. SIMPLE BUT A HOMEY N QUIET PLACE TO STAY is such a big lie! Hi! I'm looking for a place to stay for 2 persons on May 1-3, 2014 (2 nights). Max budget per person is 350. Can someone please help me? I've contacted a lot of inns but some are fully booked now, some didn't not reply and some were out of reach. I'll be visiting this page again for update. Please let me know or kindly post your number so I can contact you. Thanks! Hi, Can anyone recommend a good cheap place for 14 people on Feb 7 to 8 only. Around 250 - 300 ang budget per person. Residential Inn is full on those dates but they recommended Pineswood Lodge but i cant find any thing in the Net on the place. Plus mode of reservation payment is via Western Union under the name of Andre A. Dewey. I dont wanna sound suspicious but rather im just cautious. Thanks. You can reach me via 09153643118. Adrian. Is it advisable to have a reservation as early as now? Or is it okay to just look for a lodge once we get there? Hi Im going to sagada tom, alone, needing an affordable inn or house to stay for 3 days and 2 nights, safe and quiet, if possible 350 pax but can go higher if reasonably priced. Need advice asap. Any suggestions? hi! we are planning to be there on April 1-4? is there a transient available? good for 3 pax. thanks. just want to ask if there's a MAMAKDE Inn at Sagada we can't find it at Google Map.we are going to sagada on holy week we're supposed to reserve on that inn but according to the person we contacted we have to send down payment first. hoping for your prompt reply thanks a lot. Hi! We're planning to go to sagada next month, do you guys know how long we're going to travel from vigan to sagada? and can you recommend any inn/hotel with a nice view? Is it cold there next month(september)? Please please help. Hmmm maybe thats Rose Nardo? if it is the room would be fine for couple thou the room is small, but its clean.